Finally getting a chance to do some sewing! It's a good thing too, as I have far too much fabric, and not enough money. This is like getting new clothing for free! First off, a dress. This fabric had been sitting around for two or perhaps three years. It's just cotton with some machine embroidery - sort of eyelet without the holes - and I love how the slight dressiness of the fabric takes a pretty plain pattern and makes it look much smarter. This skirt is from fabric I think I got two years ago. It's a woven polka dot, again in all cotton. This was mostly done last summer, but I needed to do hand finishing and then I decided I needed to tweak the fit. You can tell I'm really keen on pencil skirts at the moment! 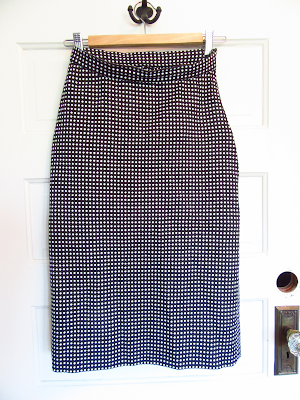 I think I overdid and/or outgrew the fuller 1950s skirts I was enjoying for so long. This one is actually recent fabric, purchased this spring. 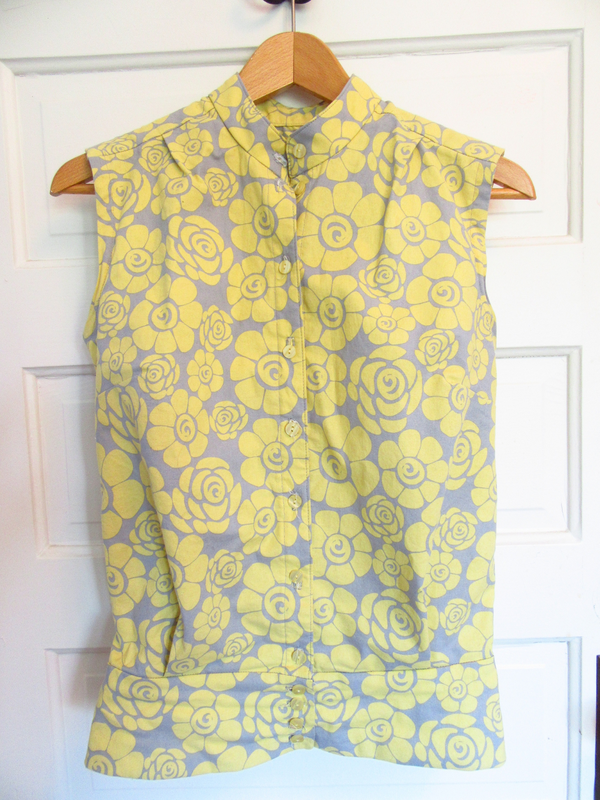 I took my favourite shirt pattern, switched a few things around, and voila! A shirt with a very different sort of look, still work-appropriate for summer.